There are many different reasons to repipe your home. Knowing the reason why will help you determine the best option for you. If you have galvanized piping it should always be replaced. In the past it was thought that galvanized piping did not rust easily. It has now been shown that galvanized piping rusts very easily. If not replaced you will have rust in your water, which means your family will be bathing in and drinking rusty water. Leaking copper pipes, any leaking pipes for that matter, should always be replaced as well. The reason for the leaking could be due to a low quality of copper that was used when the house was built or remodeled. Leaking could also be caused by the pipes’ poor quality type in combination with a complex water solution. If your town or city has aggressive water the combination of both will inevitably cause leaks. If the decision is made to replace with copper piping type L or K quality copper piping should be used. This will be ideal for even the hardest water. Illegal piping that is not up to the building code must be replaced. It is a dismal fact that contractors, licensed and unlicensed, sometimes install illegal piping. In many instances this is not known to the homeowner until they are doing renovations or selling their home, which would make it unsellable at that point. Once found, it must be replaced because it can become a hazard. For a two bathroom home or smaller it can be completed in one day. Larger homes can take up to two to three days. Please note, two days should be added for city or town inspections. Why Should My Plumber Do the Job? 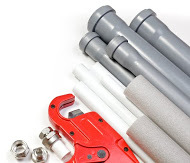 Repiping your home should be done by a licensed plumbing specialist. 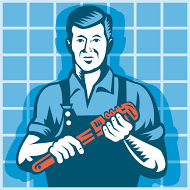 They guarantee their work and have had many years of experience specifically in repiping. This gives you and your family added peace of mind. Want to repipe your Annapolis home? Call Heidler, Inc. at (410) 268-7191 today and get the job done with our services!